That cold that doesn’t go away! Is it a cold? Or might it be due to nasal polyps? If you have a cold that continues past 10 days and that doesn’t go away, even with over-the-counter cold or allergy medication, you may have nasal polyps. These are benign (that means they are NOT cancerous) growths of the lining in your nose. Polyps are tear-drop-shaped or round growths that can block your nose. 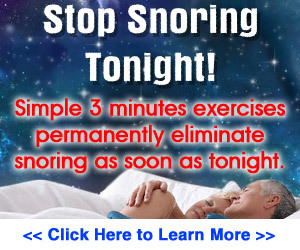 Often, you do not know you have them, but some people need to have them removed, because they can contribute to sinus problems, asthma and even sleep apnea. 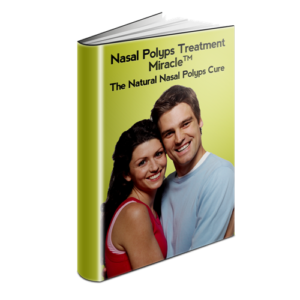 This is a guidebook to treating nasal polyps without surgery or steroids, providing a permanent cure between four days to eight weeks. It helps polyps shrink, giving quick relief from chronic situations like recurrent headaches, sinusitis, and asthma and also relieves symptoms of insomnia and sleep apnea caused by breathing difficulties. The symptoms can include a constantly runny nose, chronic respiratory tract infections, sneezing, postnasal drip and loss of the sense of smell, breathlessness, breathing through the mouth, asthma, insomnia and nose bleeds. They are also linked with allergic rhinitis and cystic fibrosis. But often the cause is unknown and may even be hereditary. Sometimes, people get them before they develop asthma or sinusitis. Obstructive sleep apnea, a condition that causes you to stop and start breathing frequently while sleeping, may be associated with nasal polyps in some people. Treatment of nasal polyps is not always necessary. Those who develop a small nasal polyps and do not notice any adverse symptoms generally need only monitoring of the polyps. Treatment often is by way of steroids, antihistamines and surgery. But there are also natural home remedies for nasal polyps and these have the added HUGE benefit of helping stop the polyps coming back. Before you try any remedies, be sure that nasal polyps are actually what is causing your symptoms. The best way to do this is to consult your medical adviser. NOTE: Pregnant and breastfeeding mums should ALWAYS consult their medical advisers before trying any remedies. Anyone who is already on medication should also ask their medical adviser whether any of the following might affect their medications. The core of a pineapple contains bromelain which can help reduce symptoms of sinus infections and may also help protect against allergies and asthma. You can also take bromelain as a daily supplement. Magnesium rich foods, like nuts, seeds, legumes and dark green leafy vegetables (dark green cabbage) can help, or you can take a magnesium supplement or soak in bath filled with Epsom salt to absorb magnesium directly through your skin. Turmeric, previously only associated with curries is becoming very popular these days and rightly so, not just for its taste properties but also for its health-giving properties. Turmeric contains curcumin, a great anti-inflammatory. You can add turmeric to your cooking (yum) or drink in a smoothie (golden smoothie). You can also take it as a supplement, available over the counter or from health shops or online. Many people will have this natural decongestant in their kitchen all the time. Boil a chopped-up onion in water for 5 minutes. Place the mixture in a bowl and inhale the steam, putting a cloth over your head to prevent it steaming up your kitchen (Be careful of boiling water!). Once cooled, save the water and drink a little 2 or 3 times daily. Provided you don’t mind being seen as anti social, you can chew raw garlic, otherwise, treat it in the same way as onion. This food cupboard stand-by (for making stock, among other things) can also be used to fight nasal polyps, by drinking a glass of warm water, containing 2 spoonfuls 2 or 3 times a day. Boil fresh slices of ginger in water for about 10 minutes. Allow to cool, then drink as a herbal tea. You can add lemon juice or honey or both to taste, if you like. Nasal Polyps can be a miserable condition but there are several ways of treating them. Provided your medical adviser has confirmed that this is what you have and that there is no reason for you not to try treating them, go ahead and try one or more of the remedies given.